A unique feature of the conference is the Elsevier Foundation Green and Sustainable Chemistry Challenge. 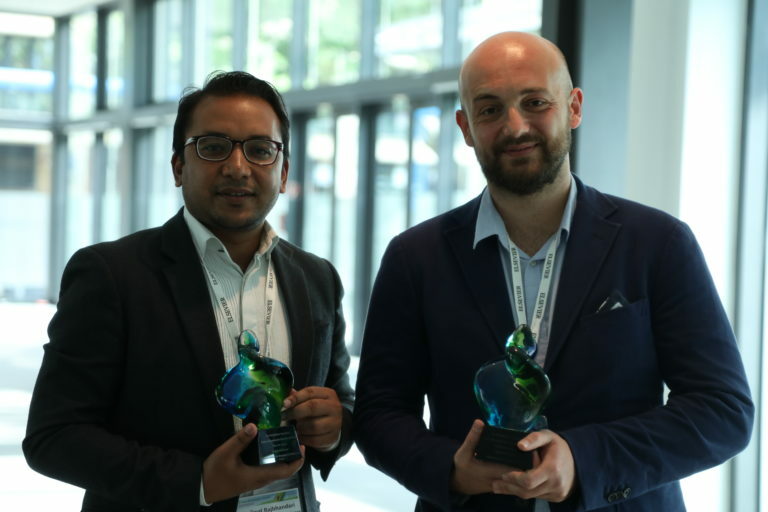 First prize winner Prajwal Rabhindari, President of the Research Institute for Bioscience & Biotechnology (RIBB) in Nepal, and second prize winner Dr. Alessio Adamiano, a researcher at the Italian National Research Council (CNR), pose with their awards. 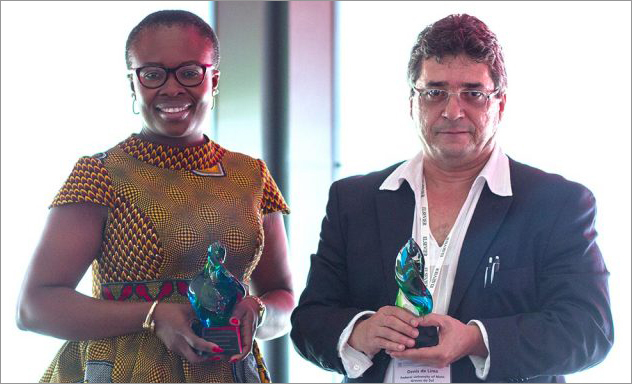 The winners of the 2017 Elsevier Foundation Green and Sustainable Chemistry Challenge are first-prize winner (at right) Dênis Pires de Lima, PhD, a professor at Federal University of Mato Grosso do Sul, Brazil, and runner-up Chioma Blaise Chikere, PhD, a lecturer at the University of Port Harcourt, Nigeria. © Dario Spoto"
Dr. (Mrs.) Chioma Blaise Chikere MRSB Senior Lecturer, Environmental Microbiology and Bioremediation Division, Department of Microbiology, Faculty of Science, University of Port Harcourt, Port Harcourt, Nigeria. 2016 winners were Yunsang Kim from the University of Georgia, USA, and Suzana Yusup from the Universiti Teknologi Petronas, Malaysia. Yunsang Kim, PhD, displays the winner's check, surrounded by Conference Chair Prof. Klaus Kümmerer, PhD (left), and Elsevier Senior Publisher Rob van Daalen. Conference Chair Prof. Klaus Kümmerer, PhD, (left) and Elsevier Senior Publisher Rob van Daalen.